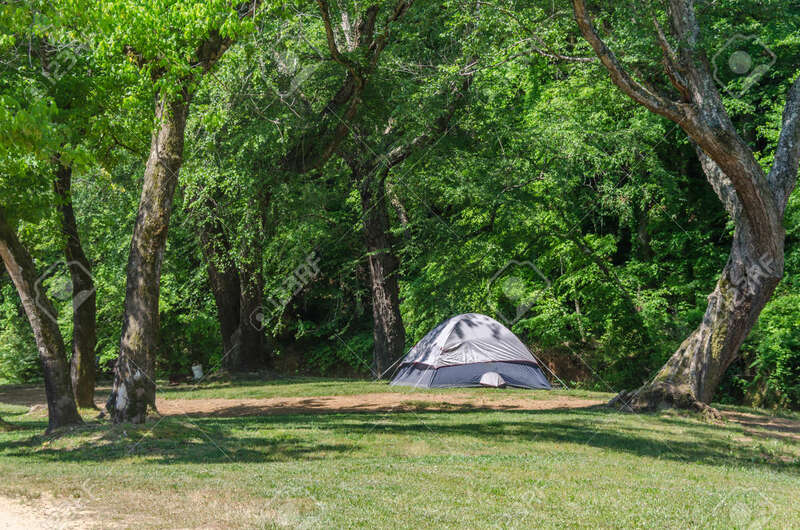 Tent Camping In Beautiful Outdoor Setting With Trees And Sunshine. Fun Spring Summer Adventure Of Expedition And Relaxation. Lizenzfreie Fotos, Bilder Und Stock Fotografie. Image 101829209. Standard-Bild - Tent camping in beautiful outdoor setting with trees and sunshine. Fun spring summer adventure of expedition and relaxation. Tent camping in beautiful outdoor setting with trees and sunshine. Fun spring summer adventure of expedition and relaxation.